The total amount of ordinary matter, called baryonic matter, makes up for about 5% of the total matter of our Universe. 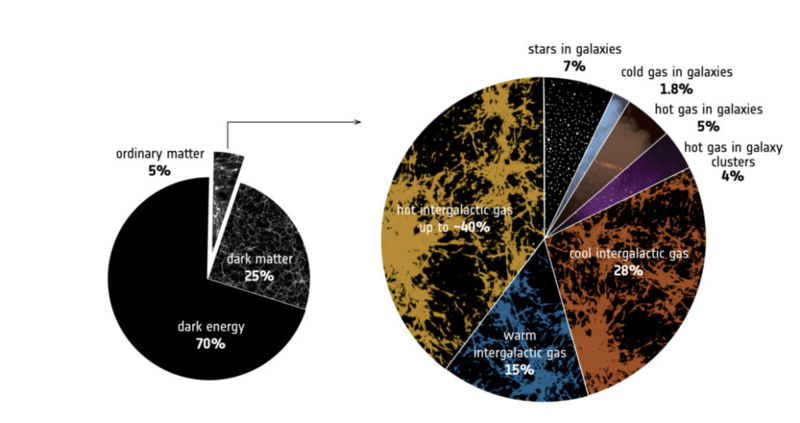 The other 95% consists of the exotic dark matter and dark energy. However, even this 5% of baryonic matter is hard to detect! Only 60% of the baryonic matter has been observed! Now scientists, used ESA’s XMM-Newton X-ray space observatory and found evidence of where these missing baryons are!! Scientists used ESA’s XMM-Newton and NASA’s Chandra X-ray Observatories as well as the Swift X-ray Telescope to find evidence for the existence of a rare type of black hole, an intermediate-mass black hole!! 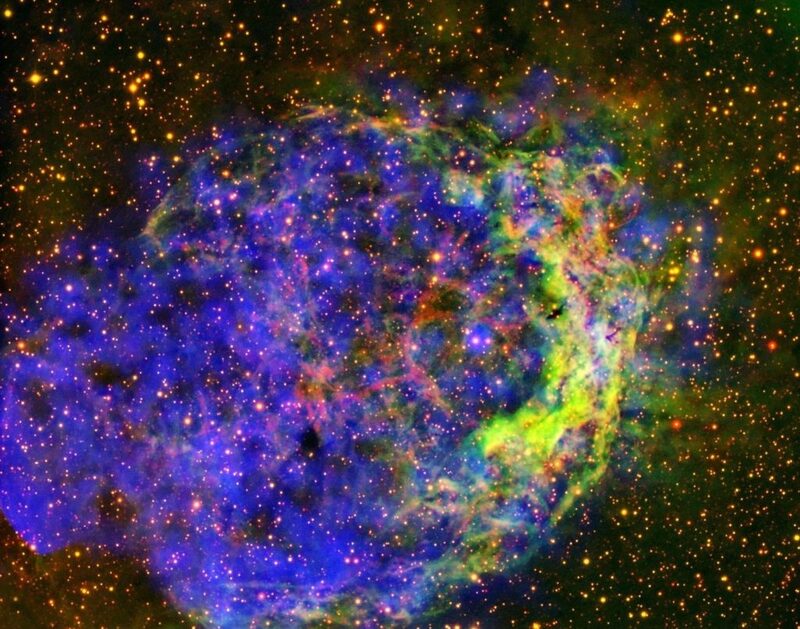 Bubble of gas emits X-rays as it is blown away by a dying star! Wolf-Rayet (WR) stars are massive, energetic stars at the end of their lives. They generate strong winds that sweep their surrounding material and create strong shockwaves as they collide with the interstellar medium (ISM). This process heats up the ISM to high enough temperatures to produce X-rays. This rare phenomenon was observed using XMM-Newton, ESA’s space telescope. Gravitational wave event likely created the smallest black hole ever detected! 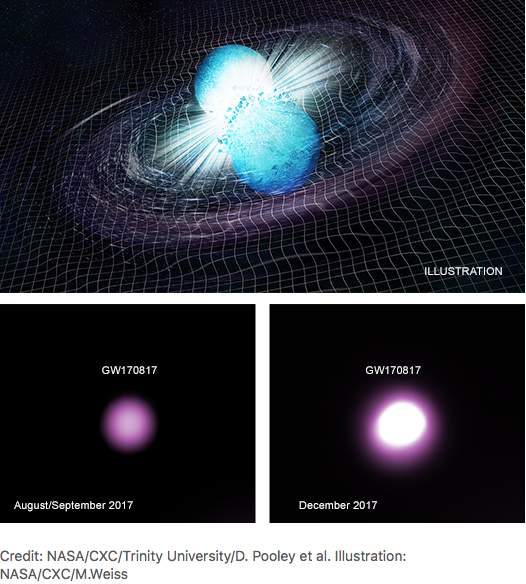 The neutron star merger named GW170817/GRB 170817A that took place last August, was the first cosmic event that astronomers were able to observe both light and gravitational waves! Now scientists discovered that probably this merging process also created the lowest mass black hole ever detected! !